The parents of a two-year-old girl who died of malnutrition have each been to imprisonment for six years and four months. Lauren Wade was emaciated, unclean and riddled with psyche insect when she died in March 2015. 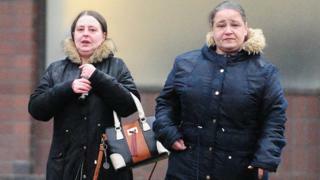 Margaret Wade, 38, and Marie Sweeney, 37, had admitted the wilful ill-treatment and inattention of Lauren between June 2014 and March 2015. They likewise pled guilty last month to a similar charge in connection with two older children between the ages of 2007 and 2015. The judge, Lady Stacey, said the women had failed in their duties to the children.